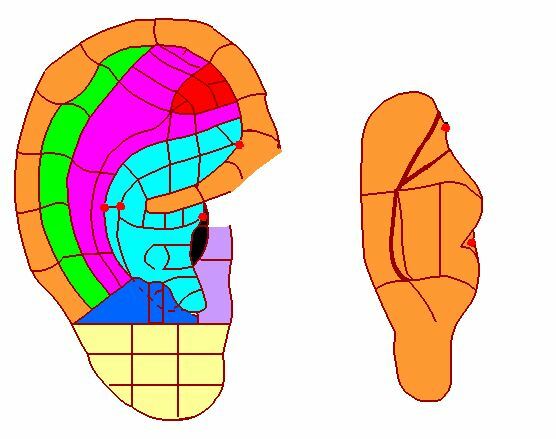 The ear is viewed as an inverted fetus with the head lying near the lower lobe and the hands and feet towards the upper rim with the body in between. There are hundreds of acupoints on the ear; due to the safety and simplicity of this therapy in 1982 the World Health Organization standardized 90 of these points. 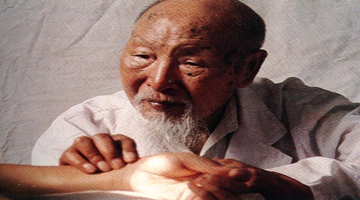 At the International Council of Reflexologist biannual conference in 1999, Ear Reflexology was at the forefront in information as it is gaining in popularity around the world. Ear Reflexology is a wonderful adjunct and natural progression for the foot reflexology practitioner. An ear session is very soothing and can be used on its own or at the beginning or end of a foot reflexology session. 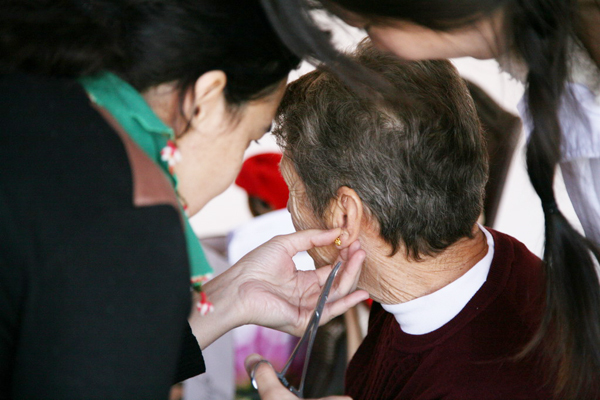 An ear session lasts 15 - 30 minutes and both ears are worked on at the same time using gentle palpation. Using ear and foot reflexology together can be a profound and powerful combination. 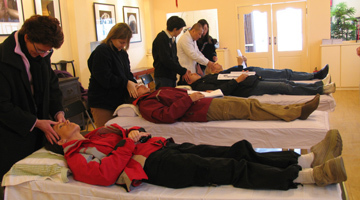 CCC's Ear Reflexology Course is mainly classroom instruction which includes the history of Ear Reflexology and Auricular Therapy, auricular anatomy, auricular points - location and conditions, auricular inspection, and hands-on application and documentation. Course pre-requisite: The participants are suggested to join this training program after he/she has completed CCC's foot reflexology course or an equivalent from other school. 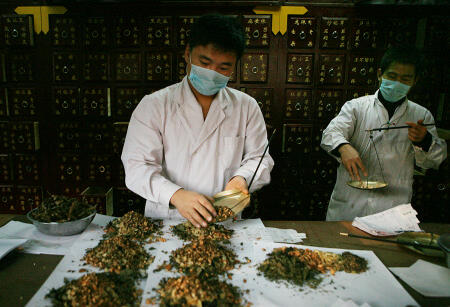 Mr. Tian Wei, certified reflexologist, certified Reflexology Teacher, PhD degree in Chinese Medicine, offers courses at the Chinese Culture Club in Beijing. What is Ear reflexology ? 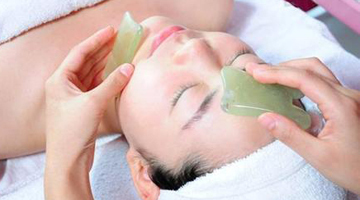 It refers to physical stimulation of the reflex areas of the ears without the use of needles. The techniques used in ear reflexology are different to those used with the feet and hands, primarily because of the different size of the ears. Ear Reflexology is applied for the instant relief of pain; clearing infections, lowering blood pressure and balancing hormones. 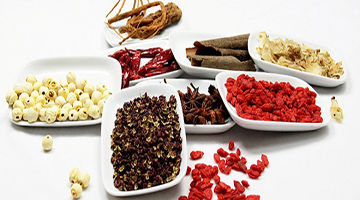 Modern Chinese ear reflexologists believe that special ear reflexology treatment is good for the skin and has slimming effects, and relieve period pain. 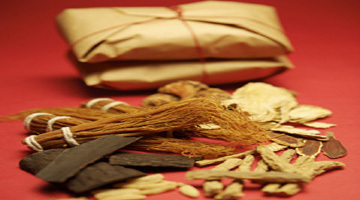 Ear Reflexology can be traced back to Chinese medical work of 4000 years ago. It is a diagnostic and healing treatment that stimulates points on the ear that correspond to different parts of the body. 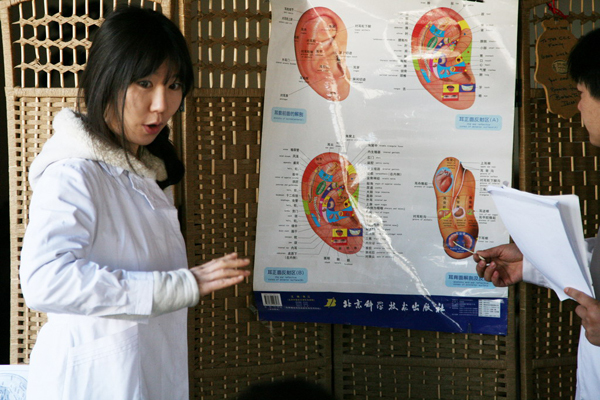 Pioneering work by the Chinese over the last 40 years has lead to the World Health Organisation authorising the standardisation of the points on the ear in 1990. They defined 91 auricular points. "The ear is connected to every part of the body because of the ceaseless circulation of energy and blood through these meridiens and vessels." Dr Helena Huang. 1974. 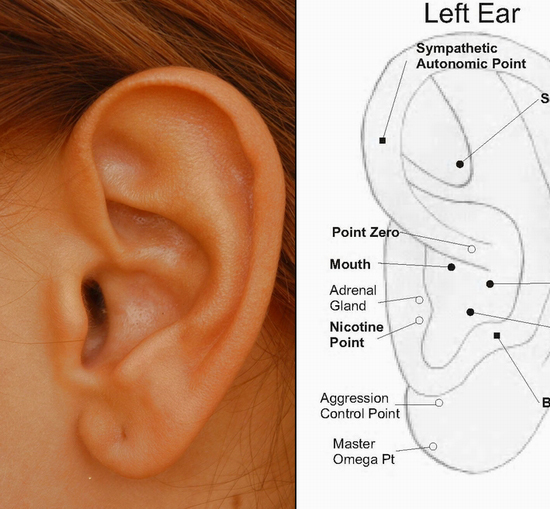 The points for Ear Reflexology are similar to those in auricular therapy (ear acupuncture). A sensitive point is identified with either a finger or a small blunt stick. By attaching a seed with a plaster on to a sensitive defined point the patient can easily work when required between treatments. Within the ear there exists rich nerve innervations and multiple connections with the central nervous system. Every part of the body has an auricular correspondence (similar to the theory of foot reflexology). 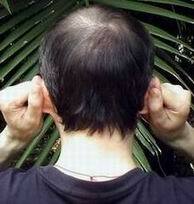 When the body loses its homeostasis, its corresponding point on the ear becomes painful or an irregularity is apparent. These signs of imbalance are not evident in a healthy person. 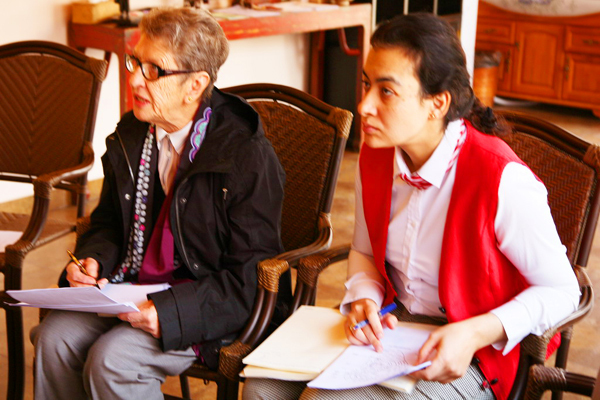 This class requires a minimum of 4 adult guests (or the financial equivalent thereof) . 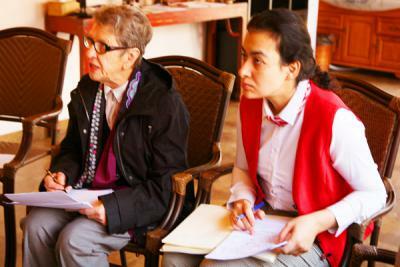 The price includes Tuina practitioner expert, interpreter, massage tables, venue and all materials. in total there will be 4 hours of class, and you may schedule them as it fits your schedule according to the availability of the teachers.